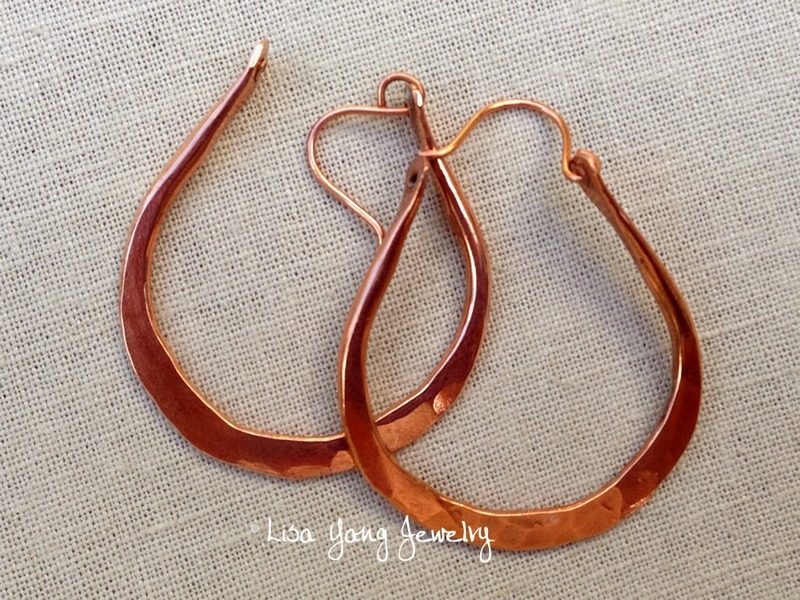 Lisa Yang's Jewelry Blog: Heavy Forged Copper Earrings - I love these! It's not often that I open my tumbler and absolutely squeal with delight, but I have to admit, these earrings did just that! I guess I should have taken a picture before they went into the tumbler and maybe you could understand - but suffice it to say, I just didn't expect much. By the time I was done annealing the wire multiple times to get these hoops hammered out, it was dull and brown and they didn't look like much more than thick pounded frames. But when I opened the tumbler... it was the hallelujah chorus. Not kidding! 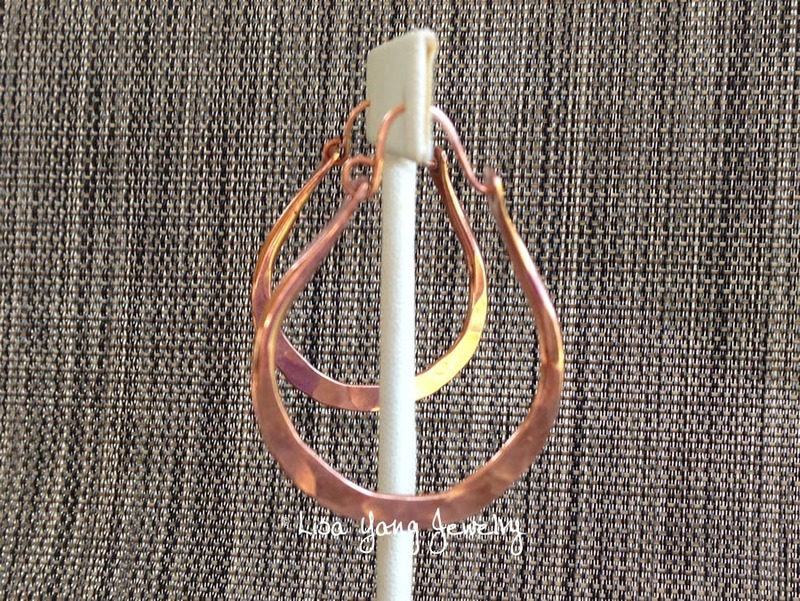 I made these earrings following instructions from a post from my Pinterest board of Free jewelry tutorials. 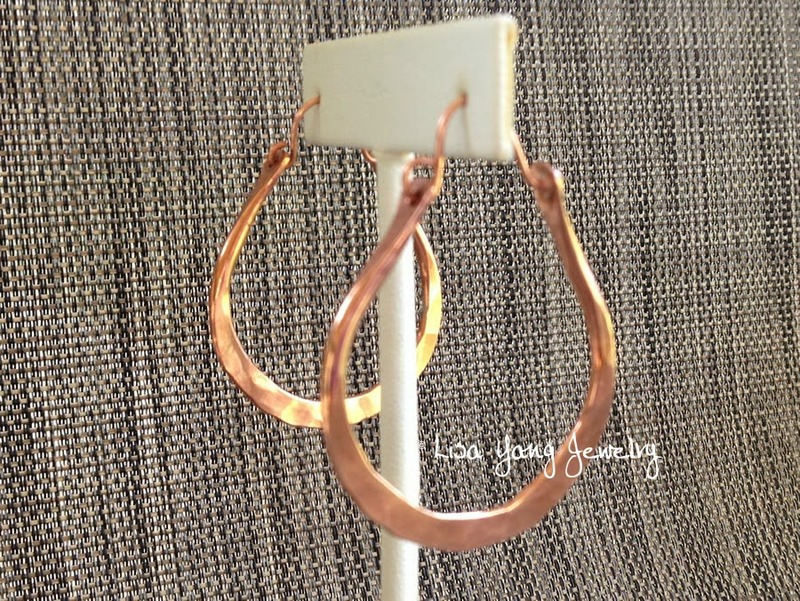 There are actually two similar tutorials that are helpful to make these earrings. Both are from the Objects and Elements blog. 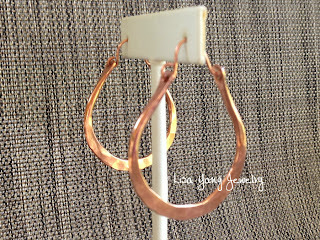 The first tutorial I recommend is the instructions for a pair of simple rustic bronze hoops. The only change I would recommend from these instructions, is that it's sooooo much easier to flatten and shape copper wire this thick if you anneal it first and again during the process if you find that it work hardens. I wish I had followed the way the ear wire is connected in this tutorial instead of the way I did it. My ear wires just aren't secure enough. I lost one earring right away yesterday. It could also be that the holes that the ear wires feed into is too small. I am going to try to make another pair and use a different punch to make the hole larger. Hopefully, that will make the earrings more secure. I found the earring this morning in my driveway, in case you were wondering! The second tutorial I recommend is a variation on the first. 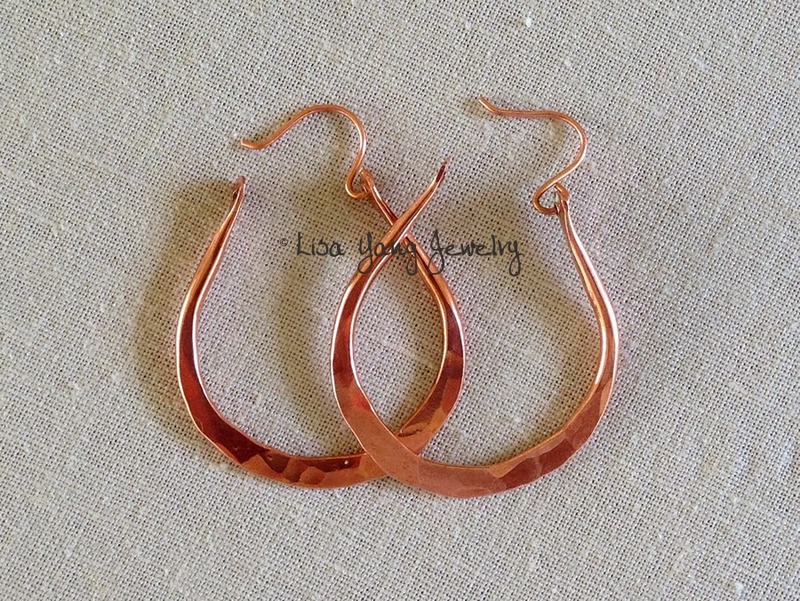 It shows how to forge hoops in a variety of shapes. The instructions are basically the same - so read both before you start. I have not worked with bronze wire yet, so I don't know if the annealing would be a necessary step for it or not. I tend to think it makes the shaping and hammering easier for copper and sterling - but your mileage may vary. 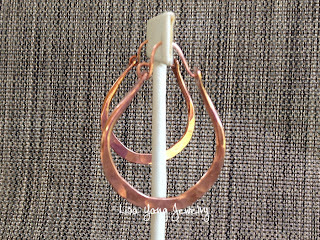 I will definitely be making more of this style earring. I used 10g wire for my earrings and 20g for the ear wire. 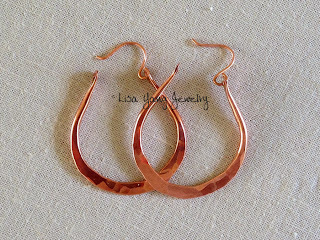 After the earrings came out of the tumbler, I was so thrilled with the bright shine, I immediately polished them and applied some paste wax to seal the color. Using wax to seal the patina, or prevent oxidation as is the case here, is new to me, so only time will tell if it will really help. So far, I do notice that the earrings stay bright and shiny and don't even get finger marks. You have some nice tutorials pinned. I repinned some so hopefully we can get your board more of a following. Thank you! I am enjoying working my way through them. I work so much better when I have a 'list' of things to make. Pinterest really gives me that!! If you are looking for some more tutorials check out my Tutorials: Jewelry board. I have a quite a few up there.